B&B Sosta del Pellegrino is located less than a 10-minute drive from the centre of Pietrasanta, and offers a garden and air-conditioned accommodation. On site parking is free. Rooms at the Sosta del Pellegrino B&B all come with a private bathroom. Some rooms have garden views. A sweet Italian breakfast is served daily in the communal living room or in the garden. 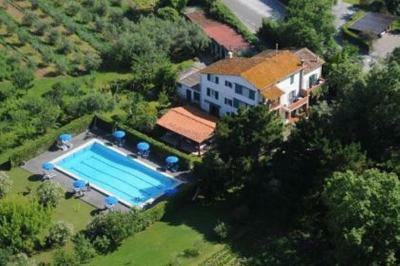 The property is located 1.5 km from Pietrasanta Train Station, where guests can catch trains to Bergamo and Milan. Lucca is a 30-minute drive away. 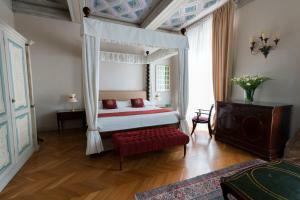 When would you like to stay at B&B Boutique Sosta Del Pellegrino ? This spacious air-conditioned room features a double bed, a sofa bed and private bathroom. This air-conditioned room features a private bathroom.Please specify bed preference when booking. Air-conditioned apartment with 3 bedrooms. Please inform B&B Boutique Sosta Del Pellegrino in advance of your expected arrival time. You can use the Special Requests box when booking, or contact the property directly with the contact details provided in your confirmation. Each day we'll check prices and send you an email for your selected dates at B&B Boutique Sosta Del Pellegrino. If you don't have specific dates but would like to check prices for say next weekend or say next month we can check the price too. Click to write a review and share your experience of B&B Boutique Sosta Del Pellegrino with other travellers.